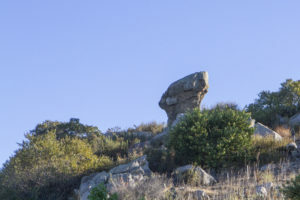 Ramona Valley is about an hour’s drive from the Temecula Valley, but the two valleys are worlds apart. 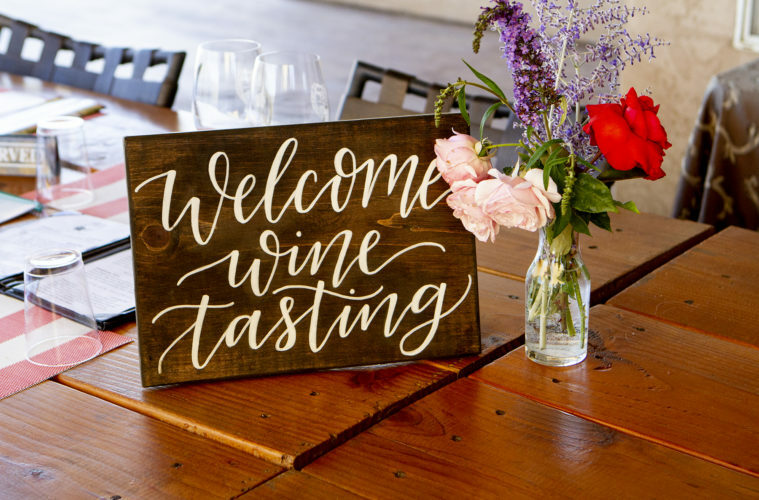 Located in northern San Diego county, the Ramona Valley is home to about 35 artisan wineries with tasting rooms. Recently I visited eight of them, but my visit began with a stop at Reds Whites & Brews, a local watering hole serving craft beers and local wines. Owner Peter Bidegain has been lovingly restoring Ramona’s first commercial building for the past several years. The former “Pioneer Store” was a waypoint for gold miners traveling between San Diego and Julian in the 1800s. It was also a stage stop and a post office. Bidegain wants to preserve and highlight Ramona’s colorful history. The large outdoor area in back is adorned with repurposed highway guard rails and fire pits. There’s a stage where you can catch live music on the weekends. We headed down the street for lunch at Ramona Family Naturals, created by Robert and Victoria Bradley to bring healthy choices to Ramona residents. Also the site of a former post office, Ramona Family Naturals features 100% organic produce along with vitamins and supplements. Using the finest ingredients available, they offer freshly made organic energy drinks and organic coffee from their juice bar. 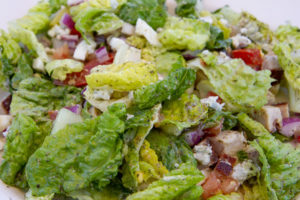 There’s a fresh deli, too that started off with a lunch menu and then expanded to breakfast. Catering to everyone from kids to seniors, they also feature Hot Rod Thursdays on Cruise Night with the 1/2 pound Hot Rod Burger with grass-fed organic beef, cheddar, provolone, avocado and bacon. 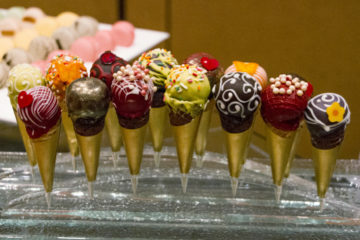 Their goal is to open a second location in San Diego and possibly expand north. 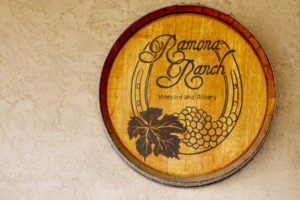 Our first winery visit was to Ramona Ranch Winery, where we had a relaxed visit with co-owner Teri Kerns. She and husband, winemaker Micole (Mike) Moore, wanted to move away from the big city so they purchased their property in 2004. At the time there was a dirt driveway and a stick-framed house. Mike built everything on the property. The 10 acre property has two and a half acres planted to vines. 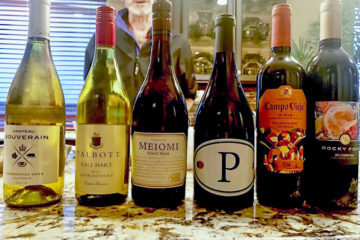 When they were starting out, San Diego County ordinances made it nearly impossible to sell wine directly to consumers. 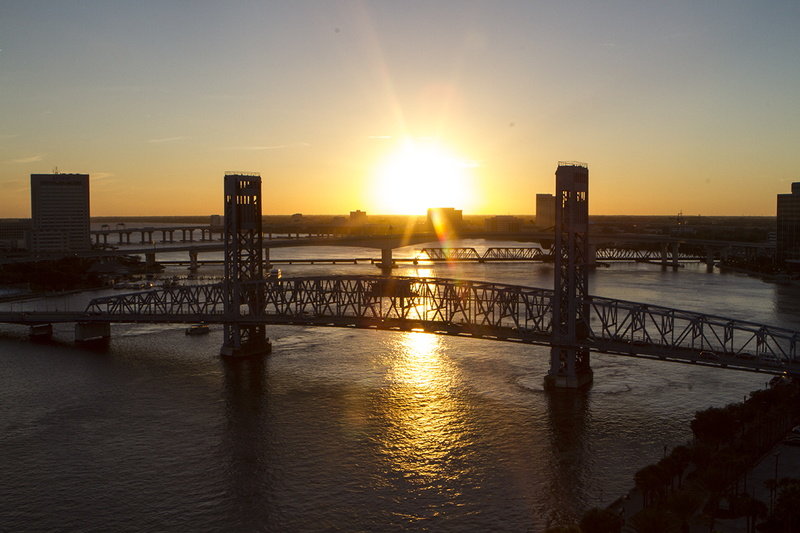 A permit would cost about $250,000, prohibitive to most boutique wineries. That led to the birth of the boutique winery ordinance in 2010, allowing small wineries to sell wine directly to their customers without breaking the bank. 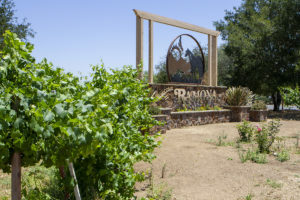 The Ramona Valley Vineyard Association was born in 2006 and now boasts more than 100 members and 36 wineries. We tasted several wines with Teri, along with a delicious lavender shortbread from Ramona Family Naturals. Their Viognier is lightly oaked and very refreshing. We also tasted some excellent reds, including the Riata blend of Zinfandel, Sangiovese and Cabernet Sauvignon, their Sangiovese reserve and Tannat. Our visit was off to a great start. 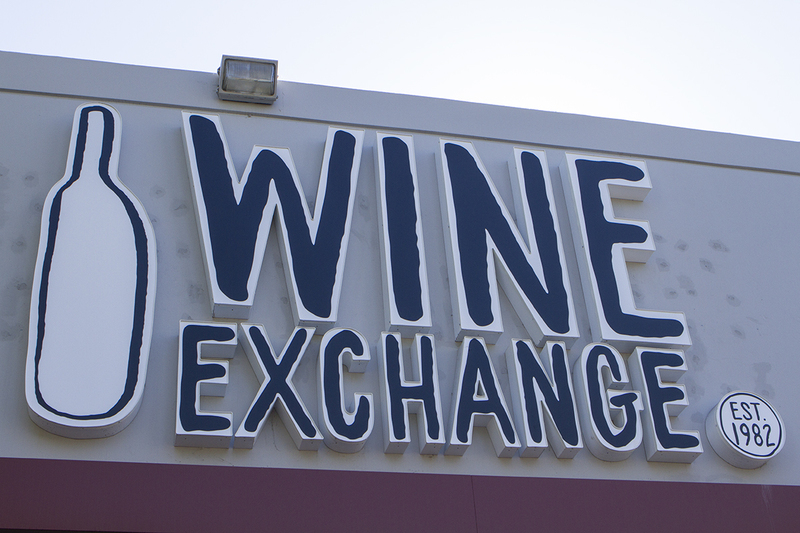 Ramona Ranch Winery is open 11 – 6 Friday through Sunday. All the wines they produce are made 100% from Ramona Valley grapes. Our next stop was at Milagro Winery, where I had visited years earlier when Jim Hart was making their wines. Sitting on 110 acres, 40% planted to grape vines, Milagro produces 100% estate grown wines as well as estate grown olive oil. 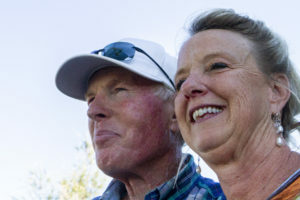 Kit and Karen Sickels purchased the property in 2001 “for fun,” and began panting grapes in 2003. The following year they built the crush house and wine cave, now used for weddings. Their winemaker now is the renowned Hugo d’Acosta from Baja’s Valle de Guadalupe. 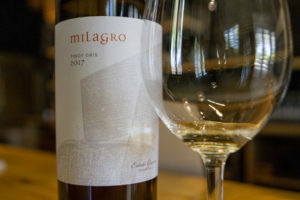 Milagro now grows Pinot Grigio, Sauvignon Blanc, Chardonnay, Cabernet Franc, Cabernet Sauvignon, Merlot, Petite Sirah, Barbera, Sangiovese and Aleatico. Their magnificent tasting room is open Saturdays and Sundays. Our small group traveled to the next winery in two cars. 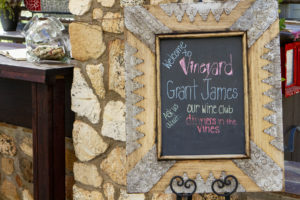 Our driver, who shall rename nameless to spare him embarrassment, took several wrong turns and actually wound up driving right past Vineyard Grant James a few times before we actually arrived there. It’s okay, Marc, we still love you. Susanne Sapier and her husband Jacques run this charming winery, named after her son Grant and her father James as a way of thanking them for their hard work in getting the winery open. She said there should actually be about 200 names on the label. Susanne offered us a choice of white or red sangria, delicious and refreshing, along with some of their wonderful wines. Their Delfinus blend is called that, she said, because it’s “del finest!” We nibbled on cheese balls made by Coach Tucker, the former swim coach who is now retired and sells cheese balls to the wineries. They’re open noon to six Friday through Sunday. Our final winery stop of the day was at Turtle Rock Ridge Vineyard Winery, so named because of the rock above the tasting room that does indeed resemble a turtle. Co-owner and winemaker Laurie Wagner sat with us while we sipped her wines. She fell in love with Sangiovese Brunello while traveling extensively in Europe. 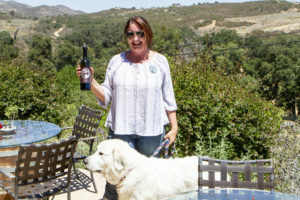 She and her husband Ian Vaux moved to Ramona in 1991 and began amateur winemaking in 2008. They got their license in 2010 and opened the tasting room in 2012. Both Laurie and Ian have backgrounds in farming. 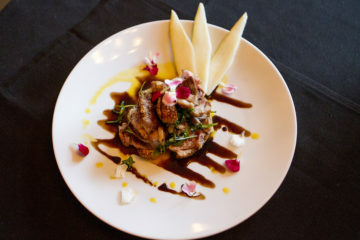 They grow red wine grapes exclusively, but offer whites made from Northern California vineyards. Their 3,000 vines include Zinfandel, Merlot, Sangiovese, Cabernet Sauvignon, Cabernet Franc and Barbera. Turtle Rock Ridge is open 10 – 6 Friday though Sunday. For dinner we stopped at Par Lounge and Deck at the San Vicente Inn and Golf Course. We enjoyed wines from Hatfield Creek Winery while enjoying the splendid views from the deck. In the middle of San Diego Country Estates, the property features restaurants, catering, weddings, a golf course and an equestrian center. 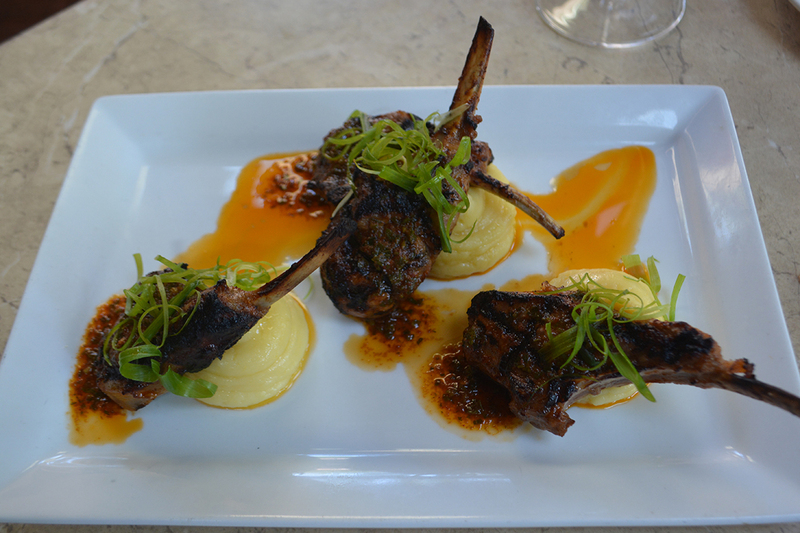 Food and Beverage Manager Larry Marshall welcomed us and introduced us to Executive Chef Ben Peterson. 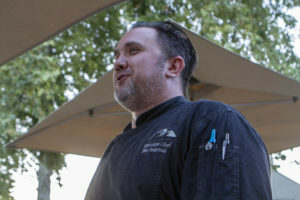 Peterson has been chef for eight years, has a musical background and spent time in New Orleans. He wowed us with a three-course dinner, starting with corn cream, a lukewarm soup with bacon, honey, pistachios, chives and hot sauce served with a corn fritter. Our entrée was a black garlic rubbed flat iron steak prepared sous vide, then seared with a parsley garlic purée, cauliflower romesco sauce, roasted beech mushrooms and sautéed greens. The perfect ending to a remarkable day was a lemon vanilla panacotta with marinated blackberries, butter cookie crumble, candied lemon zest and pink peppercorns. It was honestly one of the best meals I have ever enjoyed. So went day one of two immensely enjoyable days. I’ll wrap this visit up in the near future.